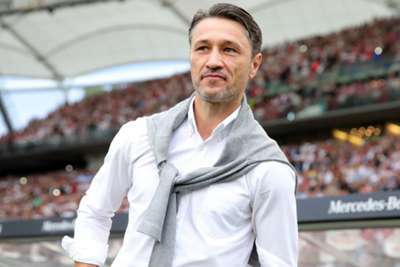 Bayern Munich boss Niko Kovac condemned the recent criticism of Bayer Leverkusen boss Heiko Herrlich ahead of their encounter on Saturday, calling it an "impossibility" to question a coach two games into the season. Leverkusen were erratic last term and ultimately finished fifth in the Bundesliga, but their young squad showed plenty of promise at times and they were expected to push on this year. However, they lost their first two games of the campaign, a 2-0 loss at Borussia Monchengladbach preceding a 3-1 home reverse to Wolfsburg, leaving Herrlich feeling the heat already. By contrast, champions Bayern started with a pair of wins and have amassed six goals in the process, making them firm favourites when Leverkusen visit on Saturday. But Kovac has urged his team not to underestimate a clearly talented Leverkusen squad. "Leverkusen played very well and very successfully last year, now they have no points," Kovac told reporters at his pre-match news conference. "But they could have gotten six points. We won't be fooled, we'll expect a tough fight. That the criticism is so strong, I am surprised and disappointed. "I also do not think it's appropriate for my coaches to get so excited after two games, so we should try to be objective and professional. "It's an impossibility to question a coach after two games." Bayern star Joshua Kimmich impressed while away on international duty with Germany, and in doing so appeared to give Kovac another option in midfield if necessary, with the 23-year-old deployed in the centre instead of his usual right-back spot. But Kovac is not planning on a complete conversion. "I talked to Joshua and told him he did well for the German national team, especially against France," the Croatian coach said. 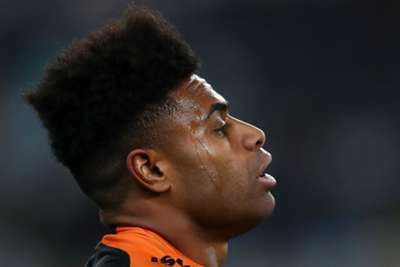 "We have a lot of players in midfield, the games we've played so far Joshua has done well, [so] there is no reason to put him in midfield, especially since we don't have that many natural full-backs, but if we're in trouble, we can always do that."